We are RunInc. from Vienna and we love running. In dedication to our international friends – and especially our friends from Copenhagen – we will make this one our first blogpost in english language. 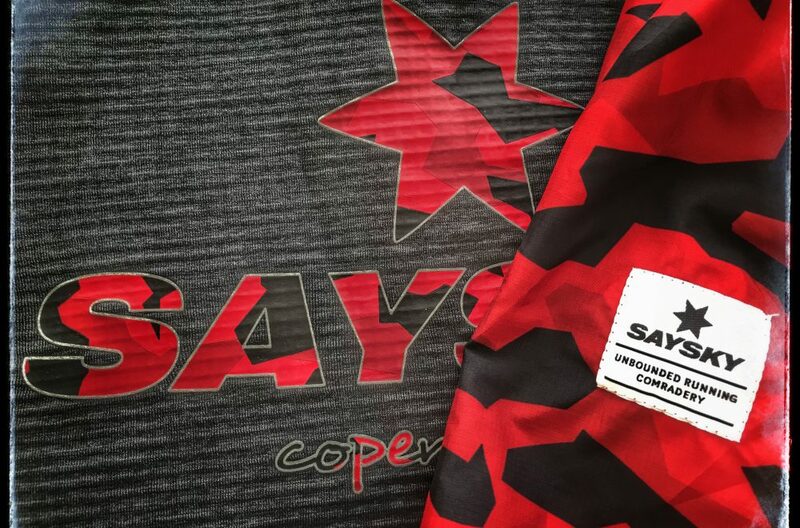 SAYSKY is the small Danish label from Copenhagen founded by Lars C. Pedersen in 2013. 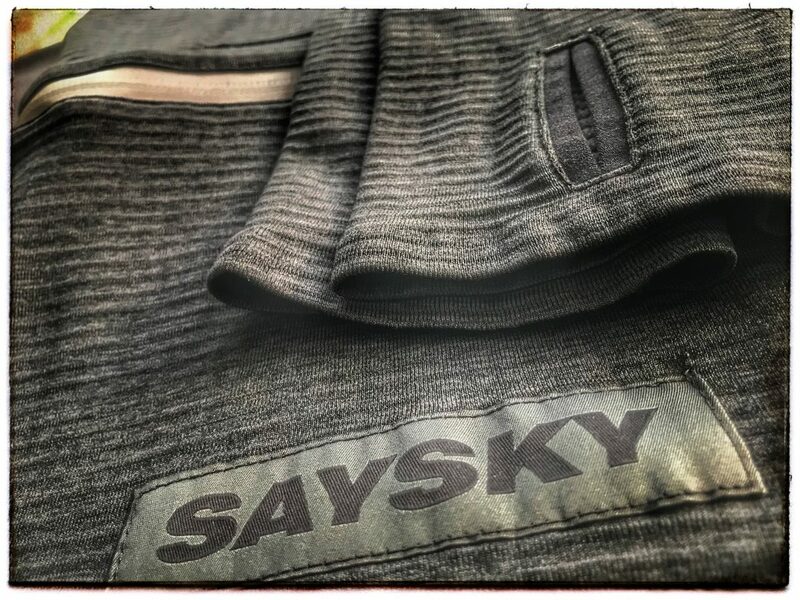 SAYSKY stands for modern, urban looks that are aimed primarily at runners, but also at triathletes. Since the 2017 RunInc. has partnered with SAYSKY and offers their collection in Vienna. What unites RunInc. 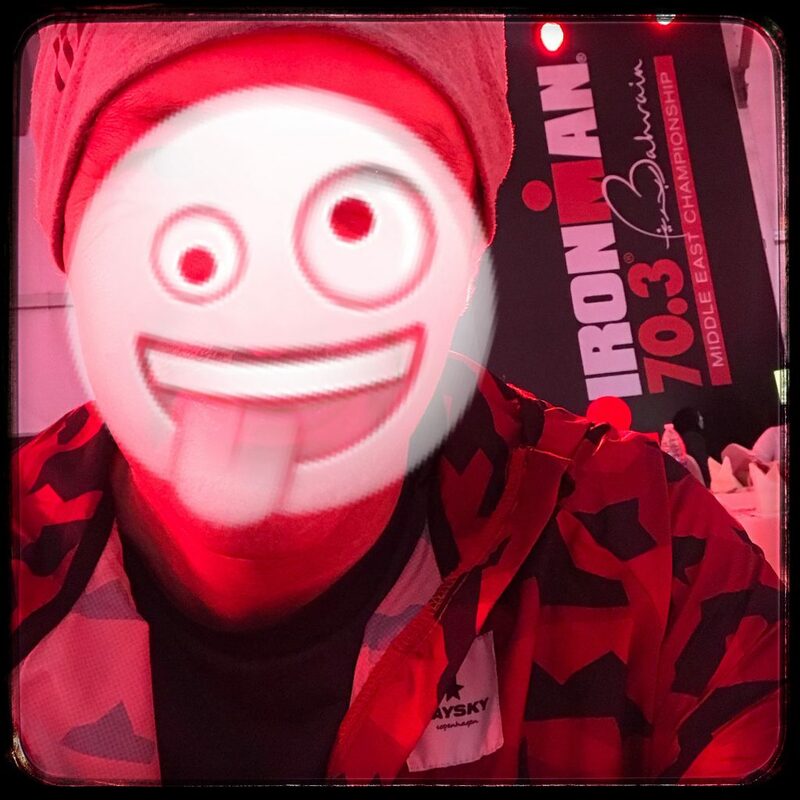 and SAYSKY is the fact that in both „teams“ there is a high affinity to running, bicycling and triathlon and their „members“ themselves still participate in competition. In 2017 Lars C.Pedersen has again completed a mid-distance triathlon in Copenhagen under 5 hours! RunInc.-friends competed in the marathon World Championships 2017, Lukas from RunInc. won the bicycle competition „Austria Top Tour“ and so on. There’s a lot of athletic background but all of us enjoy sports by the heart and also besides competition! It‘s winter in Austria. Finally. 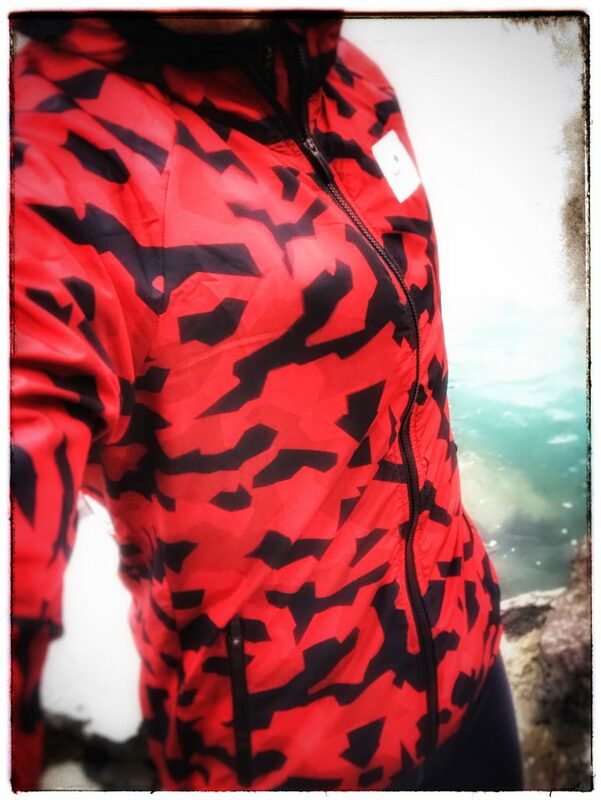 We keep the motto: there is no bad weather – there is only inappropriate clothing. At the moment we have temperatures of down to minus 5 degrees celsius and so it is necessary to wear warm clothing to be able to pull through the training over the cold months. With its inner waffle fleece structure the Arctic Half Zip is warm enough to be worn as a single layer on warmer winter days. With a technical merino shirt underneath it is a perfect top layer on cold but dry winter days and offers full breathability. It has a zippered front pocket like we have never seen before. It‘s a kangaroo-style pocket that covers your belly and holds your gloves, hoods and caps. In detail it has two small compartments to hold your small items like mobile phone, nutrition or keys close to the body during exercise. Each compartement is big enough to hold mobile phones of the latest generation. 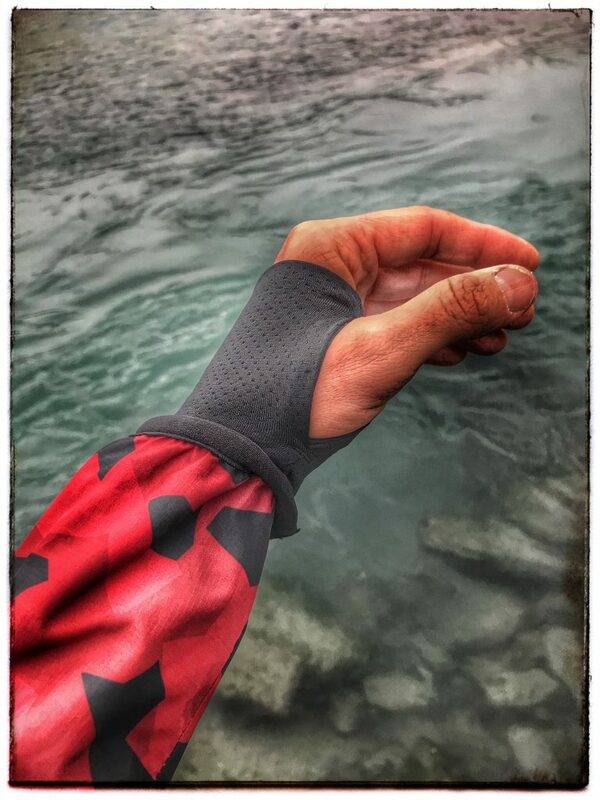 To protect your fingers you can find slightly longer arms with thumb hole openings. 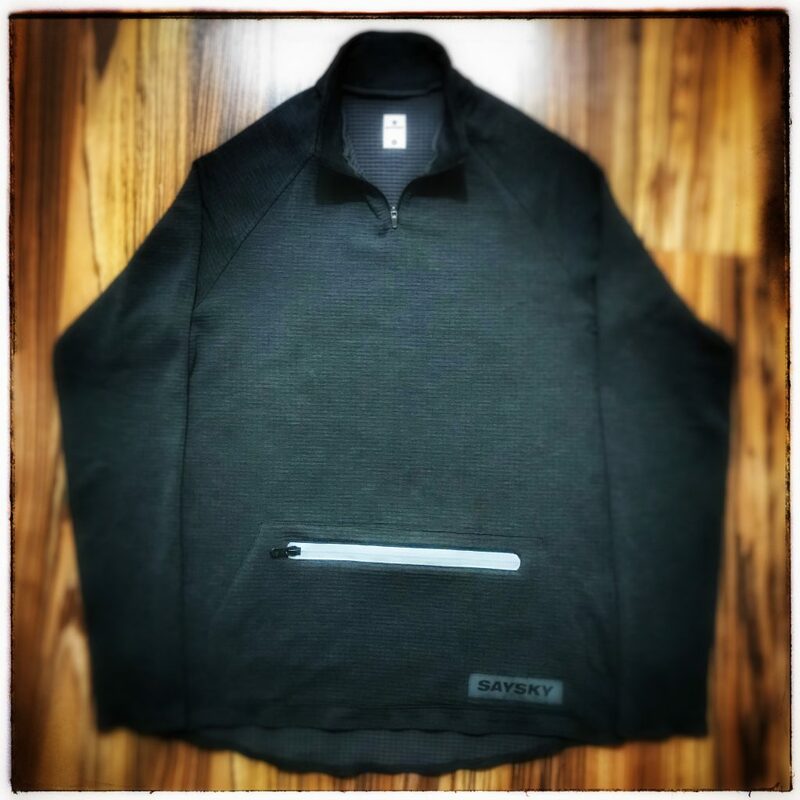 Passive safety is ensured by a reflective SAYSKY-patch and a reflective zipper. When it gets warm during running, the airflow can be extended via opening the half-zipper at the neck. 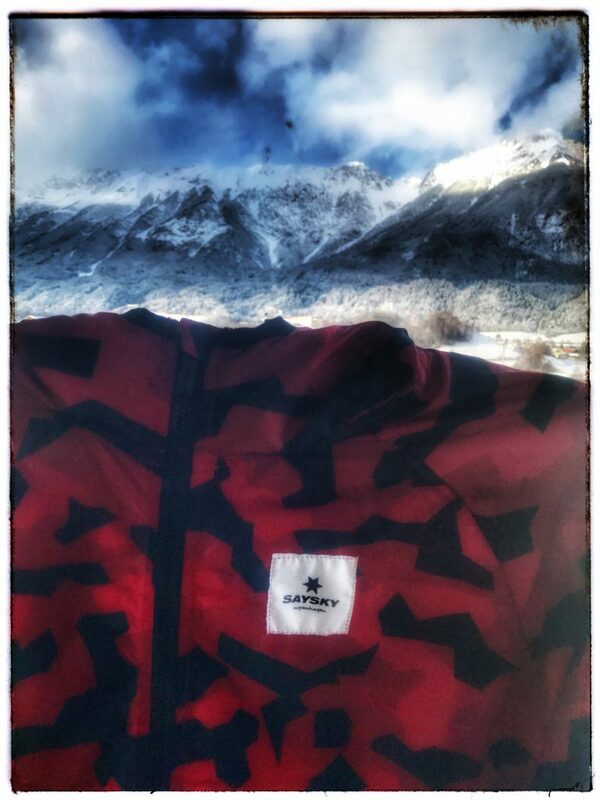 The Arctic Half Zips back is characterized by reflective typical saysky design elements: The camouflage star in my favorite color of this season: classic red! I am absolutely loving it! This jacket is a must have – designwise and also in terms of functionality. This can build your top layer, no matter the weather conditions. I wore this jacket not only in cold winter conditions in Austria. It also was my travel jacket in late november 2017 during my trip to the Ironman 70.3 Middle East Championship in Bahrain. Even though there were 25 degrees celsius during daytime, the windy evenings made a windproof top layer necessary in order to keep healty and warm. The ripstop material features pinholes on the back and under the arms in order to provide sufficient air circulation and ventilation. Two zippered side pockets offer enough space for all your items, gadgets and gear. The arms have protective cuffs with thumb holes. For me this is enough protection during most weather conditions and i leave the gloves at home. The Wellington Jacket offers a built in hood and prepares you to withstand conditions with temperatures as low as minus 5 degrees and cold winds as long as you wear appropriate base and middle layers. Well, it would not be too bad to cover your legs in winter. We chose the Combat Tights to complete our favorite SAYSKY winter outfit. These tights are of a very special supple and smooth quality and offer a perfect fit. You can have them also in classic black color, but i gave preference to the grey look as i find it a little bit „different“. The grey tights suit the Arctic Half Zip perfectly. 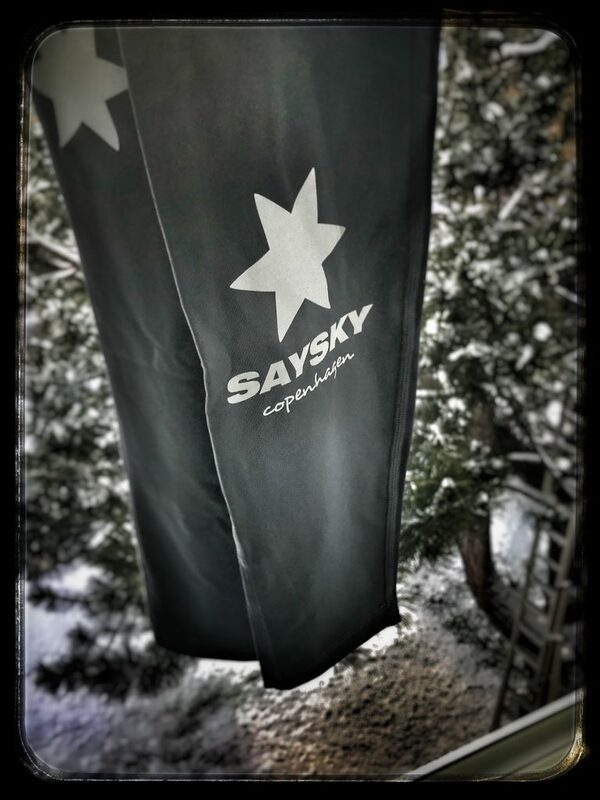 Find a reflective SAYSKY-Star and logo on your calves to offer perfect passive protection in traffic environment. 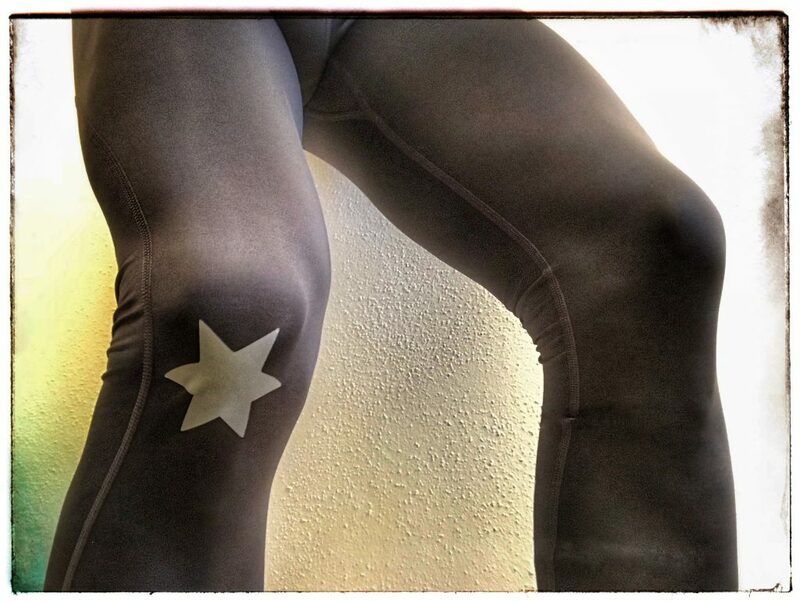 Another reflective SAYSKY-star will cover your right knee. These tights also have a pocket in the back. This one is also big enough to house a last generation mobile phone, some nutrition and keys. 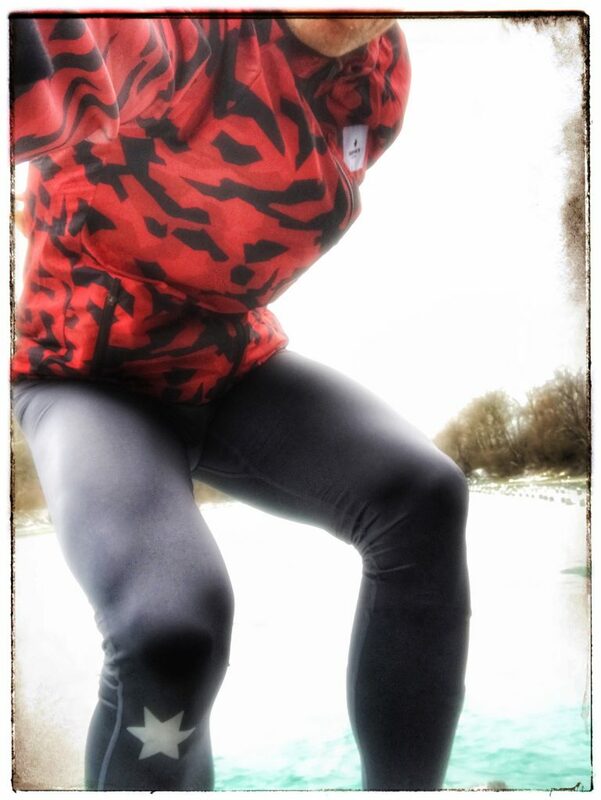 All in all, our SAYSKY winter pick outfit is a look that you will rarely see on the running tracks in your neighborhood. And it is good like that! 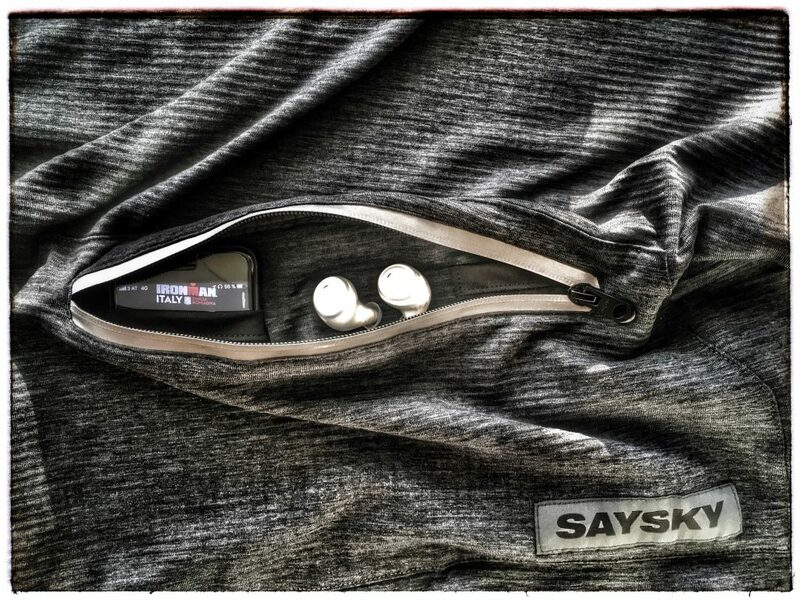 🙂 Besides great quality and functionality SAYSKY offers a very unique look. In an athletic environment in which „the big ones“ determine our everyday images, it’s refreshing to see new and different styles. 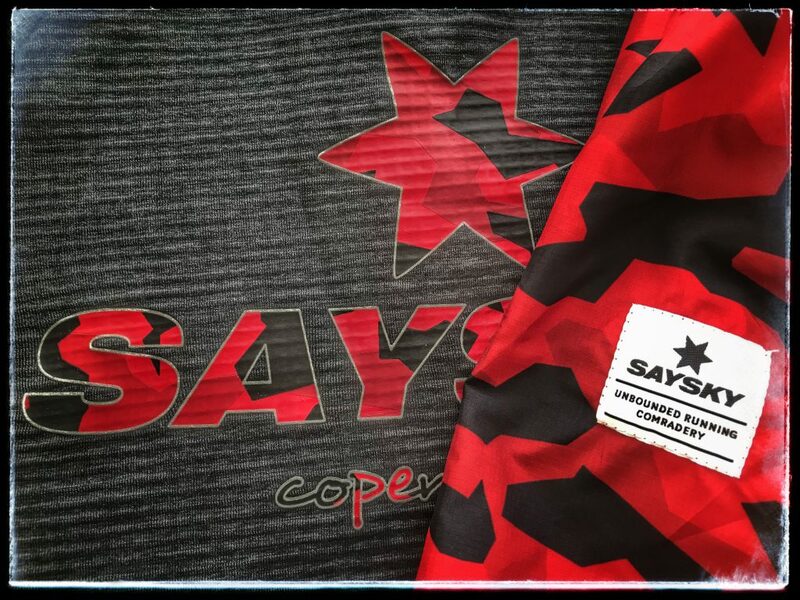 When qualifying for the middle-distance triathlon World Championships 2018, i chose my SAYSKY outfit at the awards ceremony for a reason – it‘s my favorite style! If you are in the same position as me and have not completed your search for christmas presents by now, we invite you to come by RunInc. and have a look at the current SAYSKY-collection on site. RunInc. wishes you a Merry Christmas all around the world. We are looking forward to our cooperation with SAYSKY in 2018.